Full of butterflies! !I was watching beautiful colorful butterflies. 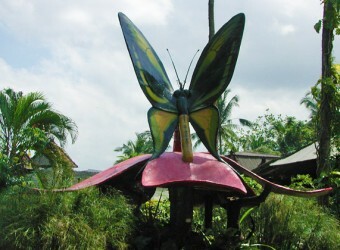 Not only butterflies but visitors can also watch scorpion, tarantula and other amazing small animals in the garden. It may that children will be happy to see it. It is a quiet garden, I felt like in the park.